Nokia has ended much speculation, revealing its MWC unveiled entry level Windows Phone handset, the Nokia Lumia 610 will be officially released next month. Set to hit stores across the UK in the coming weeks, the 610 will build on the company's existing, and highly popular, selection of Windows Phone packing, Lumia branded handsets, taking on the throng of budget, entry level Android devices in the process. Following its first officially outing during the Barcelona based Mobile World Congress convention earlier this year, there have been a number of rumours surrounding when exactly the first truly budget Windows Phone handset would hit the market. Although Nokia has yet to reveal a concrete date of arrival, the Finnish phone manufacturer has spoken out, confirming the Lumia 710 sibling will be available to consumers in June. Living up to its budget billing, the Nokia Lumia 610 plays host to an acceptable but hardly groundbreaking array of specs. With a 3.7-inch display lining up on the handset's fore with an 800 x 400p resolution, the minimalist 256MB of RAM found about the 610 means the handset will not be able to run the newly launch Skype for Windows Phone application, a service which requires at least 512MB of memory. Playing host to a rather impressive 8GB of internal storage, those looking for more space will be able to make use of 25GB worth of complementary SkyDrive based cloud storage. Are you in the market for a new smartphone? 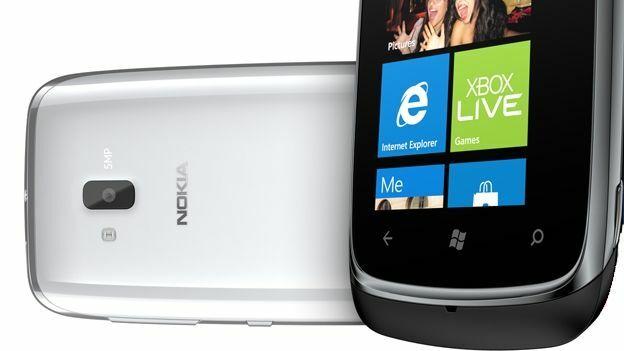 Tempted by the upcoming Nokia Lumia 610? Let us know via the T3 Twitter and Facebook feeds.